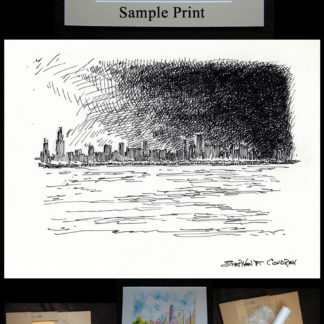 Chicago skyline #749A pen & ink drawing at sunset, which is for sale here, at discount with prints by artist and United States Navy Veteran, Stephen F. Condren, BFA, SAIC, of Condren Galleries, a Fine Arts Gallery, offering prints and JPEG & PDF scans. 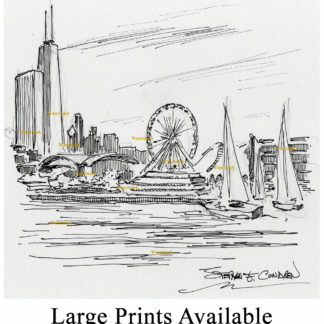 This drawing of Chicago is at sunset. The intense light on the far left gives way to darkness on the far right. 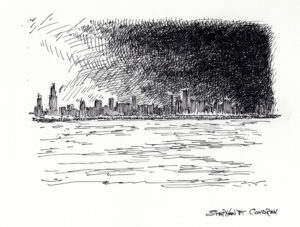 In between is the spectrum from light to dark in soft even tones. 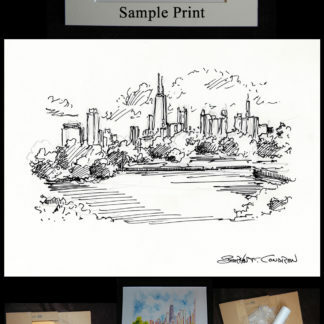 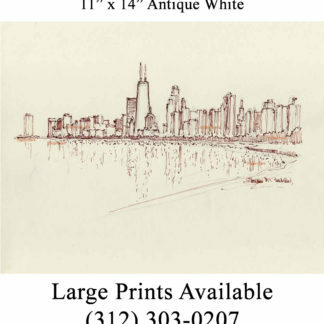 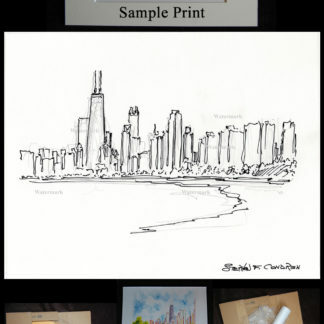 Because Chicago skyline #749A is great, it’s prints art great! 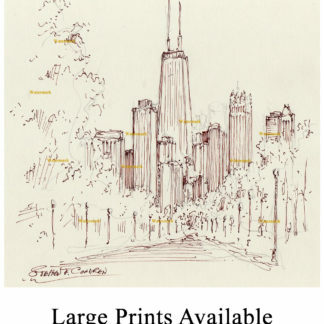 The use of hatching and cross-hatching made the gradual transition from light to dark possible. 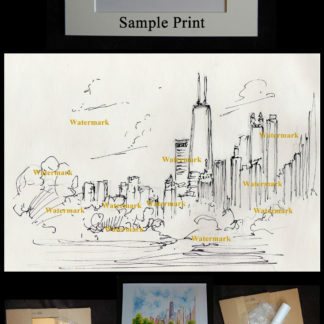 There was, of course, no use of water or paint to give a gradual effect. 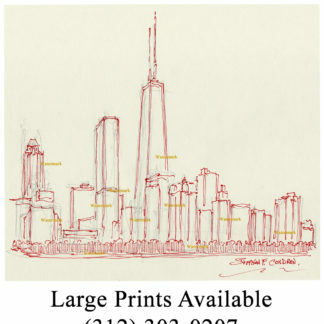 This drawing is about pen & ink and how that medium can resolve artistic issues. 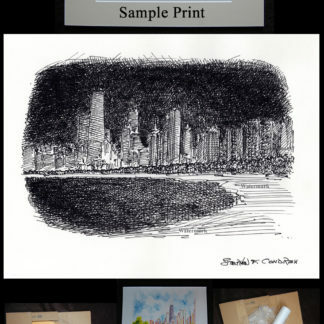 The power of the sun emitting from behind Willis Tower gives strength to the drawing as it’s light is cast out upon the waters of Lake Michigan.